Posted December 12th, 2018 by dogkeeper & filed under Submitted. I was upset about having to be in the basement with another dog and not with the humans, so I pooped and wiped my rear on the stairs. Posted August 18th, 2018 by dogkeeper & filed under Submitted. 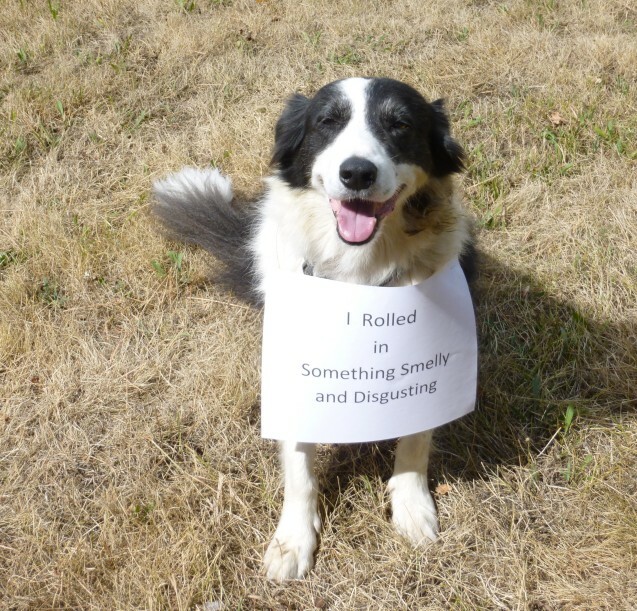 Shaming doesn’t phase Tim the border collie who rolled in some fresh deer poop and is very proud of himself. Posted January 31st, 2018 by dogkeeper & filed under Pilfering Pooches, Submitted. 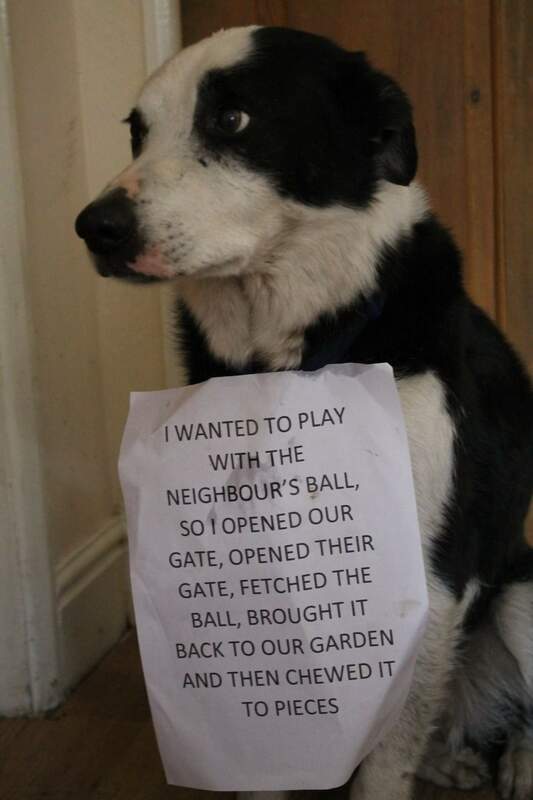 I wanted to play with the neighbour’s ball, so I opened our gate, opened their gate, fetched the ball, brought it back to our garden and chewed it to pieces. Posted January 27th, 2018 by dogkeeper & filed under Double Trouble, Submitted. 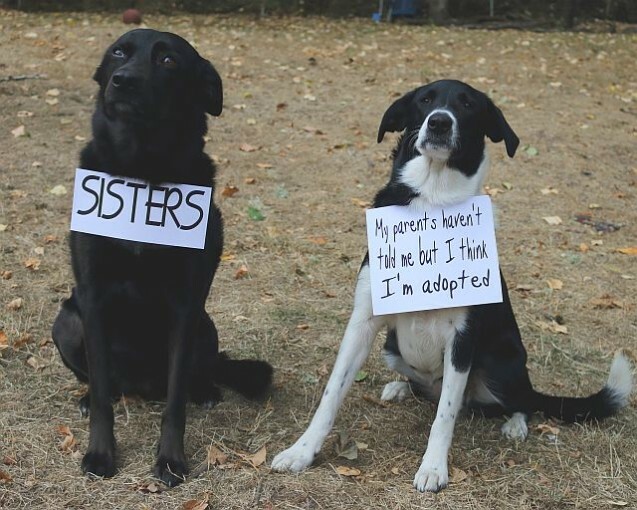 Two dogs sitting together, signs reads 1. sisters 2. my parents haven’t told me but I think I’m adopted. 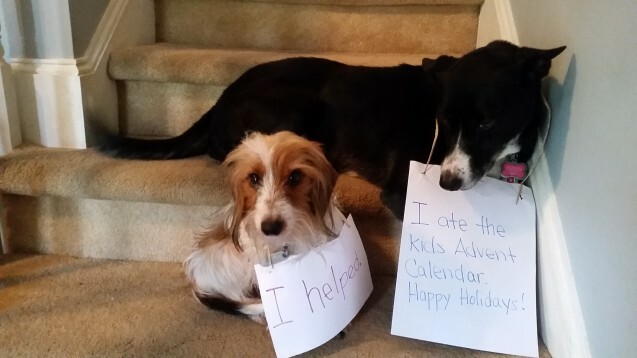 Posted December 1st, 2017 by dogkeeper & filed under Double Trouble, Submitted. They stole my 6 and 3 year old’s advent calendar from the kitchen and destroyed it. 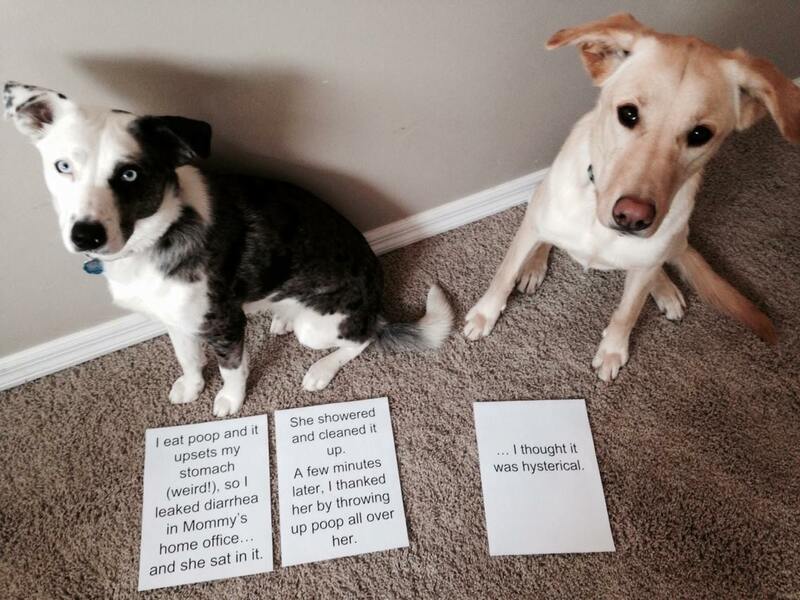 Posted July 28th, 2017 by Audra Williams & filed under Double Trouble, Submitted, Surprise Poops, Vomit Comet. 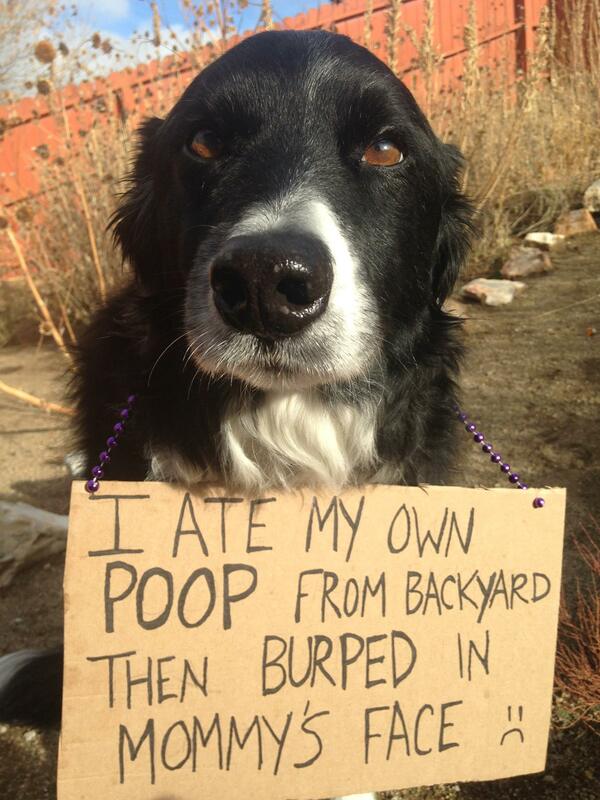 I eat poop and it upsets my stomach (weird! ), so I leaked diarrhea in Mommy’s home office… and she sat in it. She showered and cleaned it up. A few minutes later, I thanked her by throwing up poop all over her. … I thought it was hysterical. Posted May 19th, 2017 by Audra Williams & filed under Chatterboxes, Submitted. 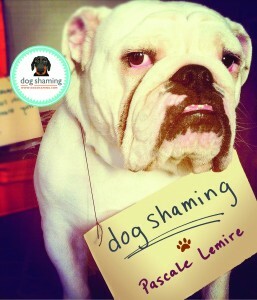 I barked all the way through my mommy’s conference call. 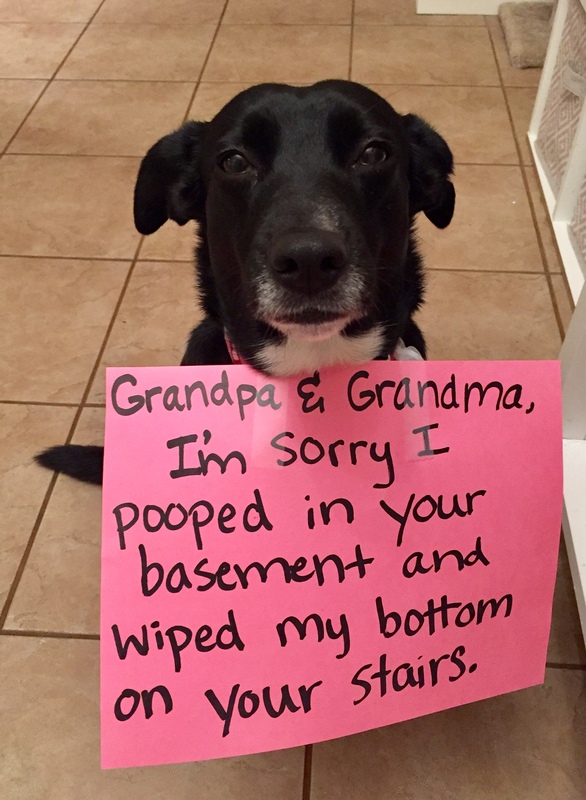 Posted March 30th, 2017 by Audra Williams & filed under Disgusting Doggies, Submitted, Surprise Poops. Who’s Getting Coal in Their Stockings This Year? WE ARE!! Posted December 20th, 2016 by Audra Williams & filed under Dog Bed Destruction, Double Trouble, Submitted. 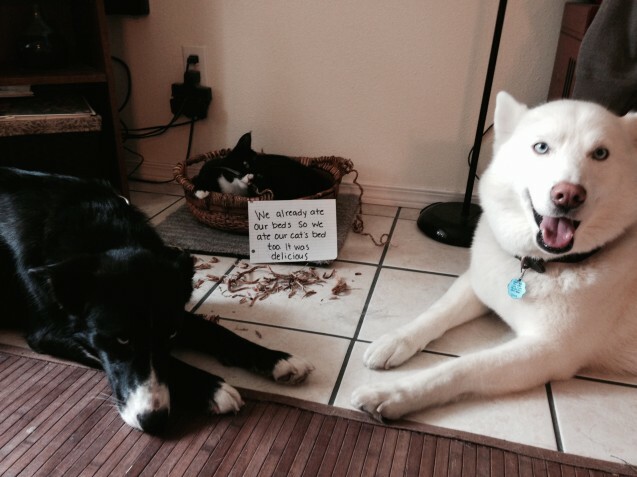 “We already ate our beds so we ate our cat’s bed too. It was delicious.” Came home from the store to find my cat looking down at her new and improved basket. Looks like Rocko and Izzy moved on to her bed after destroying their own yesterday. 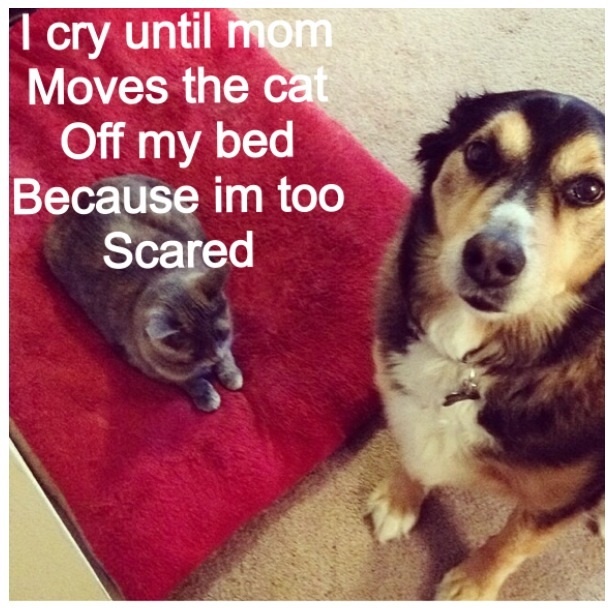 Hope my bed isn’t next…. 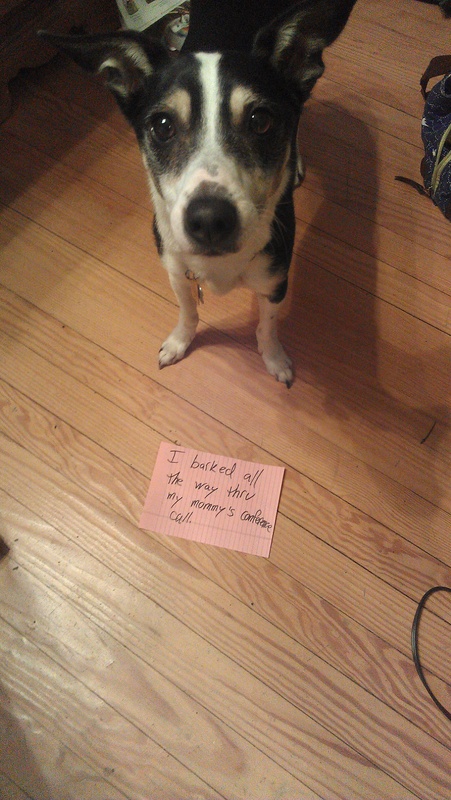 Posted September 17th, 2016 by Audra Williams & filed under Dog Bed Destruction, Double Trouble, Submitted. My kitty sister Kyra always takes my bed and I don’t know what to do!